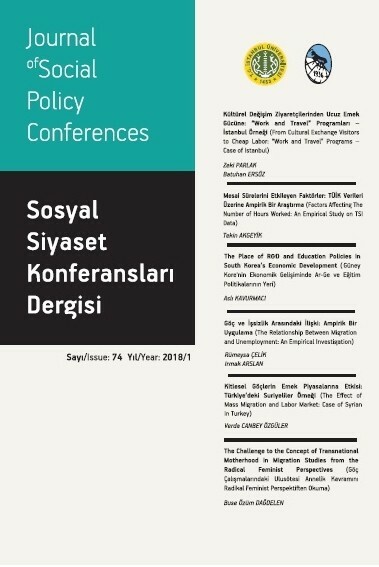 Journal of Social Policy Conferences is a peer-reviewed bi-annual journal which is published, in Turkish, by the Department of Labor Economics and Industrial Relations of Istanbul University Faculty of Economics. The journal aims to publish, theoretical and applied studies on labor economics, employee-employers relations, unemployment, poverty, social assistance, social services, social security, social insurance and all studies on the social, legal and economic aspects of working life as well as social policies regarding women, youth, elders and all disadvantageous groups. Contributions are welcome from economics, finance, sociology, social policy, international relations, law and all other fields which have relevant and insightful comments to make about financial science. Before submitting your manuscript, please ensure you carefully read and adhere to all the guidelines and instructions to authors provided in the “Guide for Authors” section.